This week, my family is headed to England to visit my in-laws. So once again, I find myself searching for the latest proven methods for coping with jet lag. We are all excited about visiting friends and relatives we haven’t seen in years. But I also know that helping three small children adjust to a six-hour time change is sure to be challenging. So I set out to find some coping mechanisms that will really work. I’ve written about the evidence on jet lag before, when we took a previous trip to England, so I knew there was a lot of advice out there – ideas about caffeine, fluid intake and exercise schedules. But I was interested in learning whether there are any new ideas that might help our family. I was able to find one systematic review of jet lag treatment (which I also found the last time I checked), which covers the supplement melatonin, a hormone responsible for regulating the body’s internal clock. 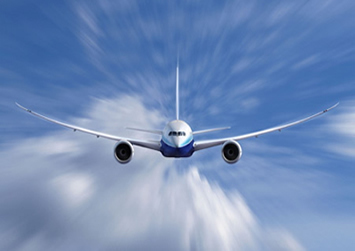 It is the only treatment for jet lag that has been studied in clinical trials. In eight out of ten studies, melatonin was found to be effective in reducing the symptoms of jet lag. The review recommends a daily dose between 0.5 and 5.0 milligrams to adult travellers flying across five or more time zones. But it doesn’t provide evidence about using the hormone supplement for kids. Another review by the American Academy of Pediatrics looked at the use of melatonin to treat sleep disorders in children. It was found to be effective in helping children sleep, but there were side effects including rash, headaches and nausea. Since we are not treating a medical condition, I am hesitant to give my kids a hormone that isn’t medically necessary. Even a small risk of side effects outweighs any potential benefit of lessened jet lag. While I considered taking some melatonin myself, I’m worried that I will feel sleep at night when my kids don’t, which could create an even bigger problem for our family. So, while the general advice about jet lag has not been studied scientifically, I think that’s what we’ll stick with for our upcoming trip. Those tips include getting as much sunlight as possible in the mornings, eating at normal mealtimes in England, and getting plenty of exercise.